What type of externality is evident from the picture below? Please select an answerNo, that's not right. This pollution is a production externality. No, that's not right. This pollution is a production externality.Yes, that's correct. 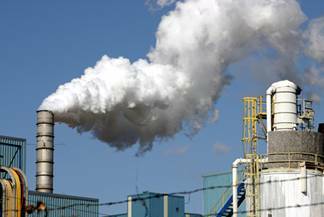 This pollution is an external cost as the cost is borne by people other than the factory polluting. This means that pollution is a negative production externality.No, that's not right. A positive production externality would be something that has an external benefit. Pollution is an external cost and so is a negative externality. Please select an answerNo, that's not right. A negative consumption externality would be one that led to external costs. This attractive sculpture in someone's garden will have external benefits as other can also enjoy it. Yes, that's correct. This attractive sculpture in someone's garden will have external benefits as other can also enjoy it.No, that's not right. Someone has bought this sculpture and hung it in their garden which allows others to enjoy it. It therefore offers external benefits arising from consumption.No, that's not right. 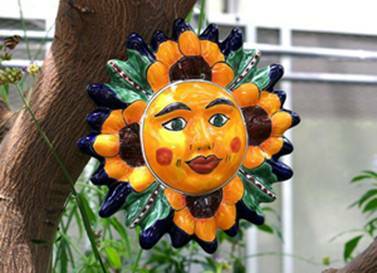 Someone has bought this sculpture and hung it in their garden which allows others to enjoy it. It therefore offers external benefits arising from consumption. Please select an answerYes, that's correct. A negative consumption externality is one that leads to external costs. Smoking is a consumption activity and results in costs being imposed on those other than just the people smoking (health costs etc). It is therefore a negative consumption externality.No, that's not right. A positive consumption externality is one that leads to external benefits. Smoking is a consumption activity that results in external costs (health costs etc).No, that's not right. 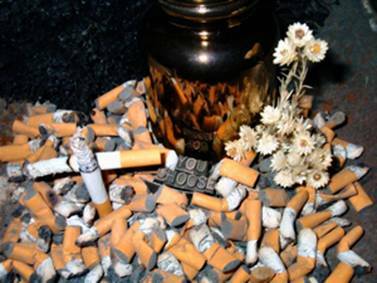 Smoking is a consumption activity and so is a consumption externality.No, that's not right. Smoking is a consumption activity and so is a consumption externality. Please select an answer No, that's not right. A negative consumption externality is one that leads to external costs. The external costs here are arising from a production activity (production and storage of gas).No, that's not right. A positive consumption externality is one that leads to external benefits. This image shows external costs arising from a production activity (production and storage of gas).Yes, that's correct. The gasholder leads to an external cost for this house (and people passing by) and arises from a production activity.No, that's not right. 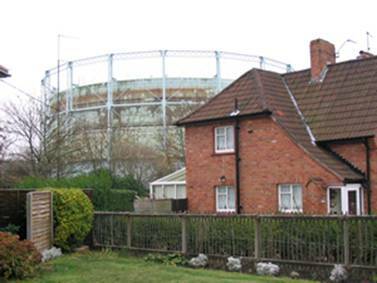 The gasholder leads to an external cost for this house (and people passing by) and arises from a production activity. Please select an answerYes, that's correct. A negative consumption externality is one that leads to external costs. The external costs here are arising from the consumption activity of buying and using cars for transport.No, that's not right. This is a consumption externality, but a positive consumption externality is one that leads to external benefits. 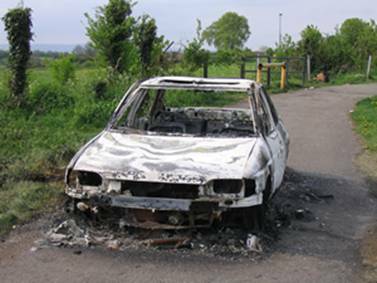 This image shows external costs arising from the dumping of a car.No, that's not right. Though there may have negative consumption externalities arising from the production of the car in the first place, these external costs have arisen from the consumption and dumping of a car.No, that's not right. The image shows external costs arising from consumption of a car and the car subsequently being dumped. 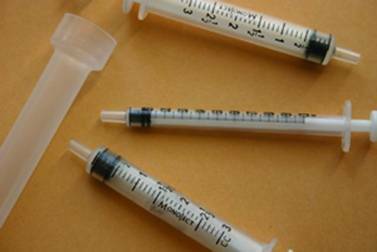 The image below shows syringes used for vaccination. What type of externality is evident from this? Please select an answer No, that's not right. A negative consumption externality is one that leads to external costs. Vaccination will lead to external benefits rather than costs. Yes, that's correct. Vaccination will lead to external benefits as it will protect other from catching diseases.No, that's not right. Vaccination is a consumption activity and so any externalities resulting from it will be consumption externalities.No, that's not right. Vaccination is a consumption activity and so any externalities resulting from it will be consumption externalities.